One of the best feelings every father can experience is when he is able to transform a childhood memory into a present bonding moment with his child. I grew up in the 80s as a boy who is so amazed with giant talking robots that can turn themselves into zooming cars going against enemy droids changing into terror planes. 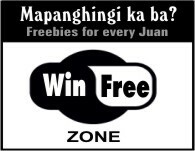 I am pretty sure that you know what I am talking about. Yes, it’s the never-ending saga of the battle between the Autobots and Decepticons in the Transformers franchise that evolve from a popular TV program to a blockbuster movie series and tons of merchandises which includes books. 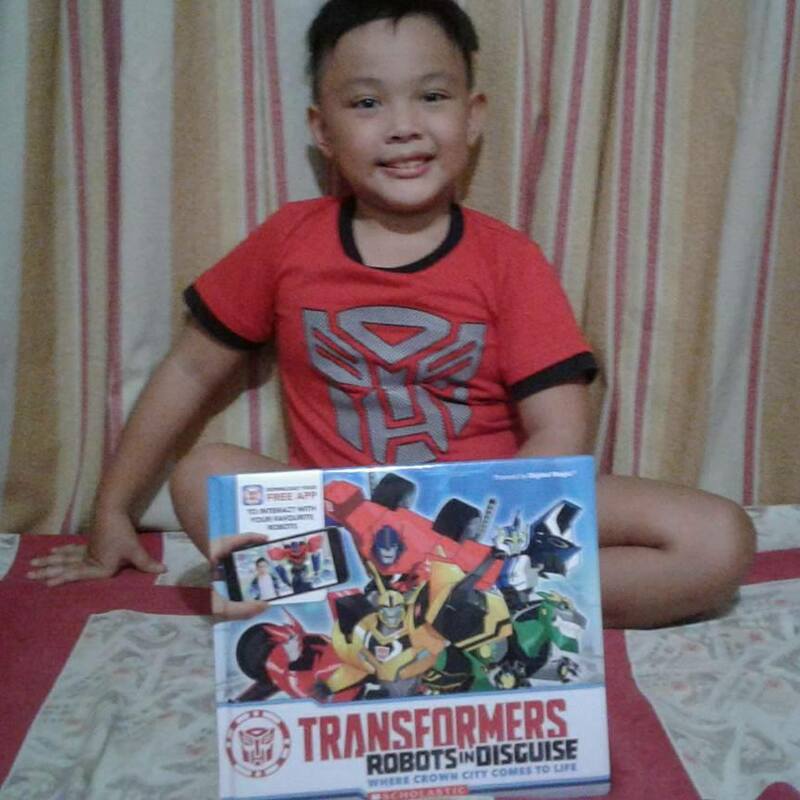 My 8-year old son, who is a fan of the Transformer films (the fifth installment to be released in theaters this month), was just so happy to get his hands with the Scholastic book Transformers Robots in Disguise: Where Crown City Comes to Life. This 32-page hardbound book for Transformer fans of all ages has a 5-star rating from goodreads.com. 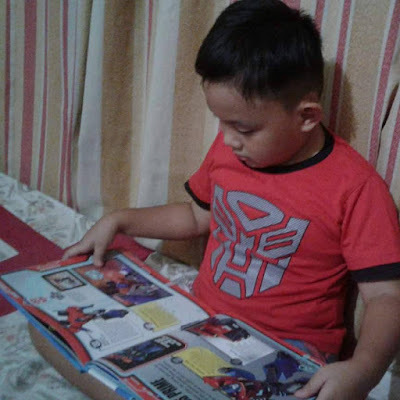 Well, if you ask my son he’ll probably give six because of the new and exciting reading experience he got. Aside from the full-color all-action world of Crown City that he discovered, he was able to bring to life his favorite Autobots Optimus Prime and Bumblebee going head-to-head against the evileforces of the Decepticons through incredible 3D augmented-reality animations by using our smartphones and tablets. 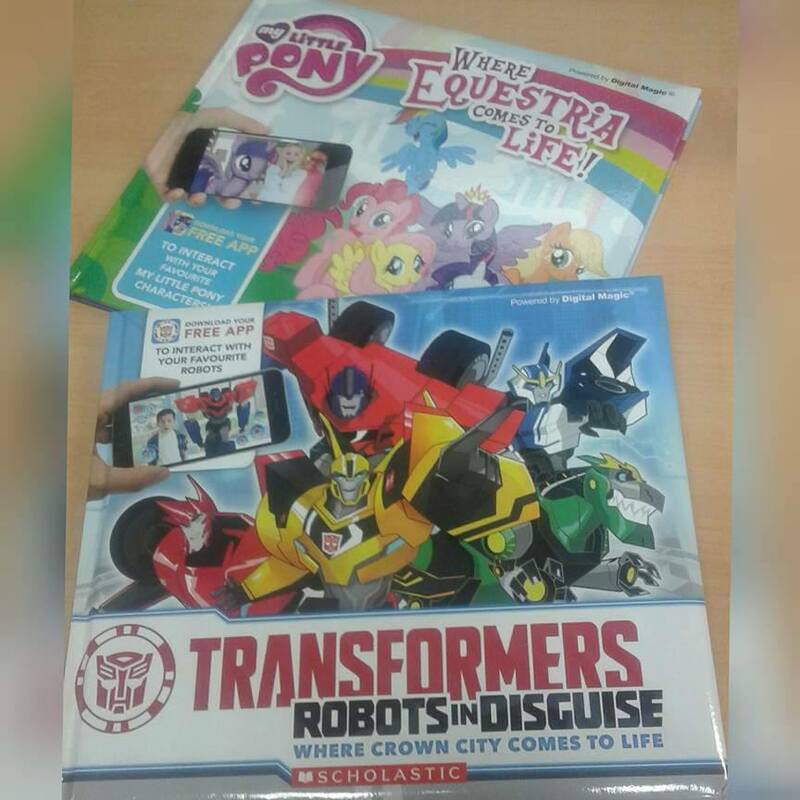 If there is a Transformers book for the boys and there is also a My Little Pony AR book for girls from Scholastics. In single-user mode, anyone can bring to life Grimlock, Steeljaw and the rest of the crew in the palm of his hand then switch to life-size mode, watch his favorite Transformer grow to real size, and just sit in awe watching them move. Another great feature is you can take photos of the moment and share them with your friends and family! 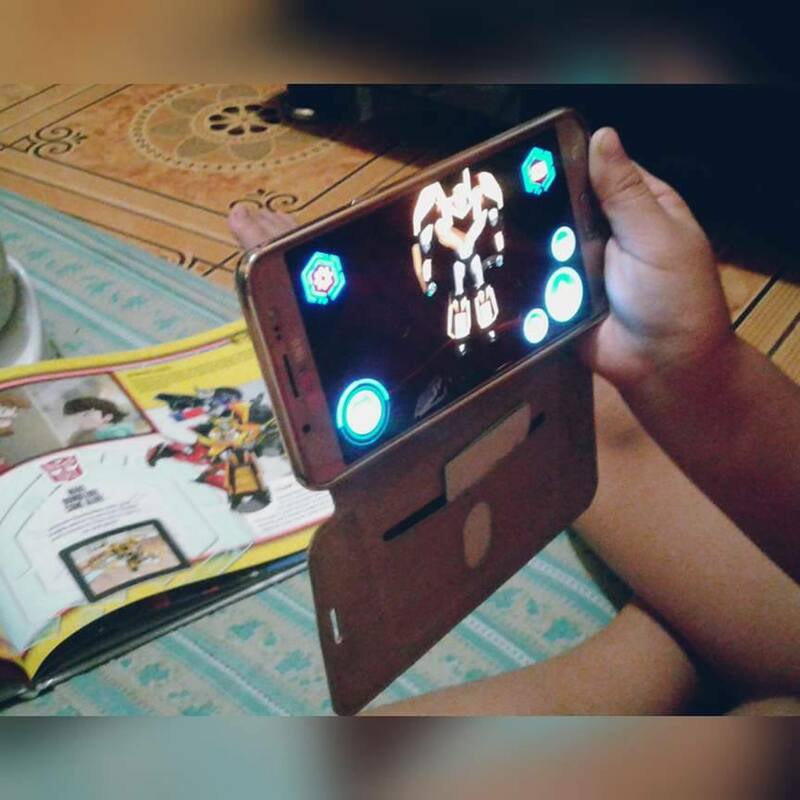 In dual-user mode, just connect your device to a friend’s unit, and battle Underbite against an Autobot of your choice. Plus, you can also customize your very own Transformer by choosing the color, look and strength of your robot to make it the ultimate Transformer. There is an easy-to-follow guide in the book that will give you all the things you need to know including how to download the free app for both iOS and Android devices that will be used to get all the fun elements of the book.